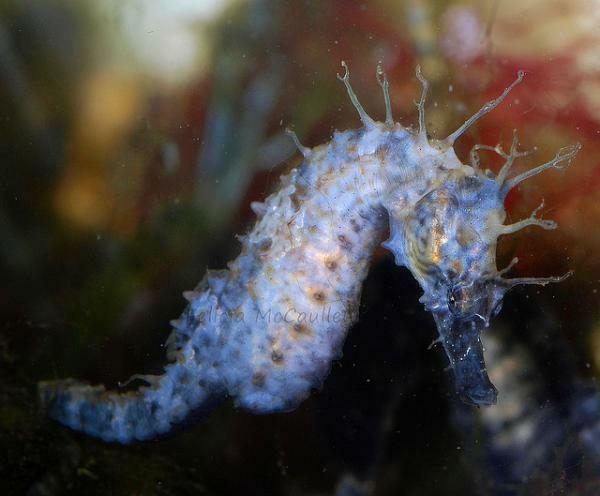 Beautiful, fascinating and mysterious, the seahorse is a type of fish like no other. For one thing, there’s the characteristically unique shape, from the horsey looking head down to the long curling tail. Then there’s the seahorses’ covering, a delicate skin stretched over bony plates rather than regular scales. And we haven’t even started on their unusual habits! Join us as we take a look at these amazing creatures with the aid of photographer Felicia McCaulley’s wonderful images. By the end, perhaps you'll have learnt something new about these lovely and fragile marine animals.